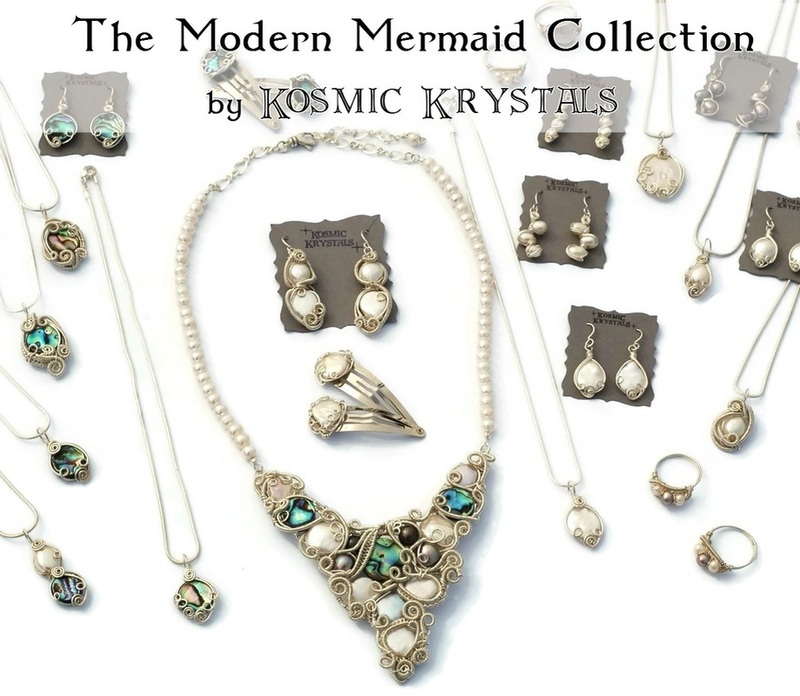 Kosmic Krystals offers both one-of-a-kind (OOAK) jewelry, as well as tasteful repeatable jewelry in some of my most popular designs. The OOAK jewelry is made to be intricate and impressive. The simpler repeatable jewelry is perfect for everyday wear, and is made with carefully refined designs. Every piece is still a little unique due to natural variation in the colors and patterns of the stones, as well as variation due to the handmade nature. ​Both the OOAK and repeatable jewelry coordinate beautifully together into cohesive sets and collections. However once the OOAK pieces are sold, they are gone for good! 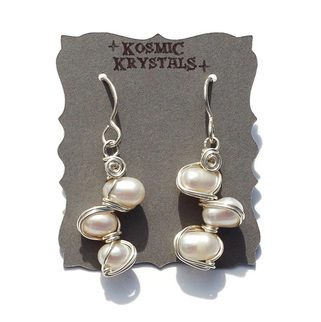 ​Make sure you have first look at the perfect unique jewelry for you by signing up for the newsletter. As part of the community you will get early access to new collection releases before the public. You can easily coordinate jewelry sets with earrings, necklaces, and rings across these too lines. The lines combine together into limited collections which will be released periodically. 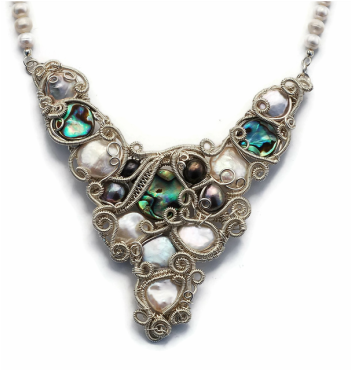 My OOAK jewelry is designed to be intricate and includes some truly bold and eye-catching statement necklaces. You can view my current OOAK jewelry in the Shop or see sold examples in the gallery. You can also request a completely customized designs to fit the gemstone types and designs that you have been dreaming on the Custom Order Page using our easy request form. ﻿Thank you for visiting Kosmic Krystals! Join our newsletter to stay updated on new collection releases and exclusive sales.